This one is perfect for the musician in your life. 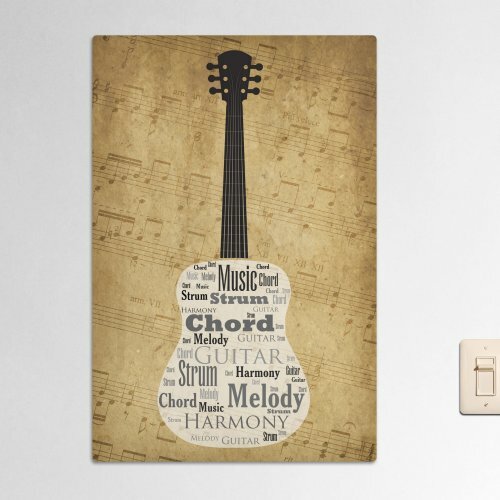 Create a personalized word art wall sign that shows of his love for the acoustic guitar. We'll create a customized sign for him that outlines his favorite guitars or acoustic guitarists. It will be an art piece that is completely custom made with him in mind. 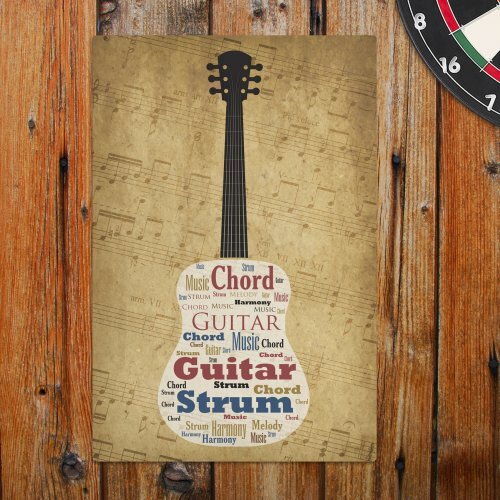 The Acoustic Guitar Word Cloud Art Wall Sign measures 12"x18" and is perfect for hanging on the wall of your music room or practice space. Symbol Area: Place an accent symbol into your Word-Art canvas. I love the item, but I was a bit disappointed as it was mailed in an envelope and it was bent. I'm sure it occurred in the shipping process, but I believe a different packaging method should be used.